The U.S. Food and Drug Administration has approved a new surgical tool for use in certain gynecological procedures, the device’s maker, Olympus America Inc., announced Wednesday. The PK Morcellator is an electrical device intended for cutting and removing tissue in laparoscopic — or minimally invasive — gynecological procedures, according to the FDA. 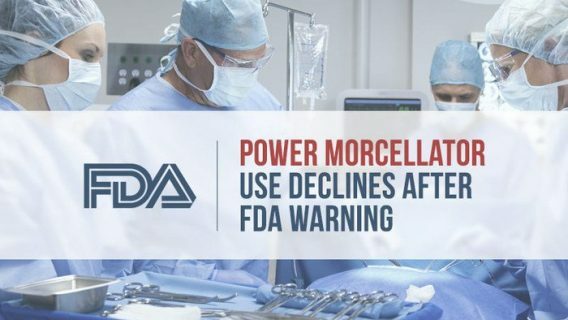 Power morcellators have been a source of controversy since 2014 when the FDA announced their use during surgery could spread lethal cancer in the body. To use morcellators, doctors insert the long, tube-like portion of the drill-shaped device into small incisions in the body. Then, they cut up benign growths called fibroids and remove the pieces through the incisions. However, one in 350 women has the chance of harboring cancerous tumors that can’t be reliably detected before surgery, the FDA has said. This unsuspected cancer could spread during the procedure, decreasing the long-term survival of patients. As a result, the FDA ordered its strongest warning, a “black-box” warning, on the devices and said they shouldn’t be used in the majority of women who undergo hysterectomy and myomectomy. Johnson & Johnson pulled its power morcellator from the market, and in March, the company had settled nearly 70 of the roughly 100 claims related to the now-discontinued device. Some of the settlements ranged from $100,000 to about $1 million, according to a Wall Street Journal report. The FDA approved Olympus’ new PK Morcellator under its 510(K) protocol, which does not require human testing. Instead, the manufacturer had to prove the device was “substantially equivalent” to similar devices already on the market. With a pistol grip and an improved smoke evacuation system, the PK Morcellator is designed to give doctors improved visibility during procedures and an option of how to hold the tool. The device has a lip on the distal tip that allows a “peeling” removal of tissue as compared to a “coring” technique. The FDA has recommended doctors use the device along with the manufacturer’s PneumoLiner containment device for removal of uterine tissue. The liner creates a barrier between the targeted tissue and other areas to reduce the risk of unintentional damage. The FDA approved the liner in April. Doctors carry out nearly 600,000 hysterectomies in the U.S. annually — more than half involve minimally-invasive surgery. Prior to its 2014 warning, the FDA estimated that doctors performed about 60,000 morcellations each year.